Welcome to the word of Game Design & Development! In this program, students will workshop through the process of game design with considerable focus on creation and trouble-shooting to produce working games that the students can add to their portfolio. The program is capped with a game-design showcase. Suitable for students new to game design, and students with considerable experience. This program is designed for students with some previous game design or coding experience. 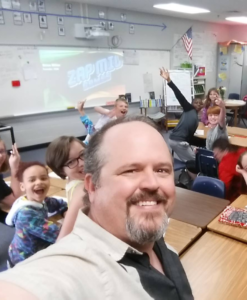 Brian Miller is the founder of ZapMil LLC, an educational software and game development company designed with the focus on experiential learning. His passion for digital gaming began with dedicated hours devoted to Atari gameplay. Today, he has directed that passion through the physics and artificial intelligence behind today’s digital gaming industry while helping to develop the next generation of game developers. He earned his Applied Computer Science degree in Game Development from Gwinnett Technical College.